>Blog>A 40% THC strain on the horizon? A 40% THC variety of cannabis has been discovered in Australia, will it be long before we see it here in Europe? When it comes to potent weed, the first place that is normally thought of is Amsterdam; and why wouldn’t it be? 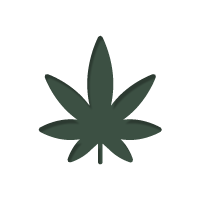 It is currently the cultural and quality capital for all things marijuana related. So when reports come out that cannabis with a THC content of 40% has been found, it comes as quite a shock that it was not here, but Australia, where this powerfully potent specimen was discovered. It was during research to test the average strength of street bought marijuana that this newfound level of strength was found. The average strength of all cannabis samples take was 15%, yet, yet the occasional 40% was also discovered. For recreational users looking to blow their minds, this is probably great news; and fair enough, if the biggest THC content possible excites you, then you have reason to be happy. However, for the cannabis community as a whole, and especially medical users, its not necessarily good news. One thing for sure, is that if 40% THC cannabis becomes more commonplace, it is going to cause hysteria. Mainstream media will have a field day with the potential fear mongering they will able to publish. Of course, we are not saying that the progression of cannabis should be cowed by what mainstream media thinks; but it could certainly cause a bump in the road for the legalisation movement should this potent form become more readily available – and chances are, it will eventually. As things stand, for the medical user, this discovery holds less value than one would originally assume. This is because of the all the 40% THC cannabis analysed by the researchers, 90% had CBD content less than 0.1%; and it is CBD that is currently thought to offer the most benefit to medical users (although THC does have its own value as well). ARE WE LIKELY TO SEE 40% SOON IN EUROPE? This is hard to answer, the research that found these specimens was carried out well over a year ago, and we haven’t really seen more legitimate sources following suit. The thing is, we don’t know if it is some new strain, or a current one that has been bred and grown with expertise. We are sure the initial news certainly had breeders looking into the matter in more depth, and it could be very well that something is in development.